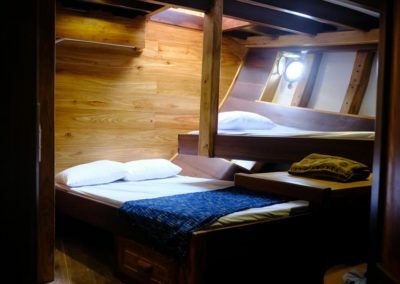 Looking for a cruise in Indonesia? 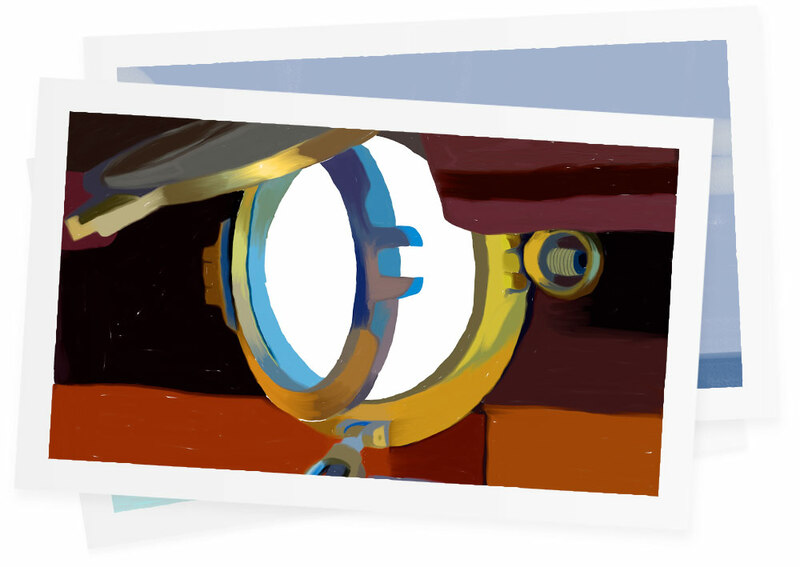 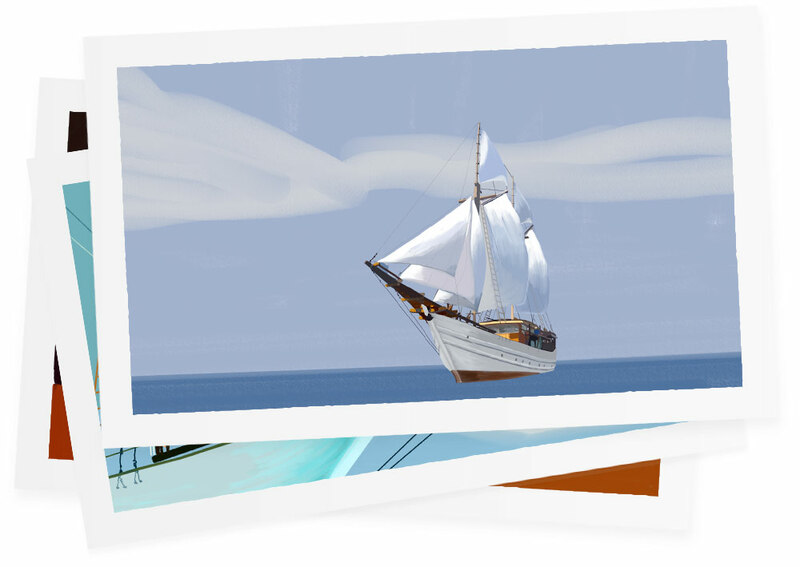 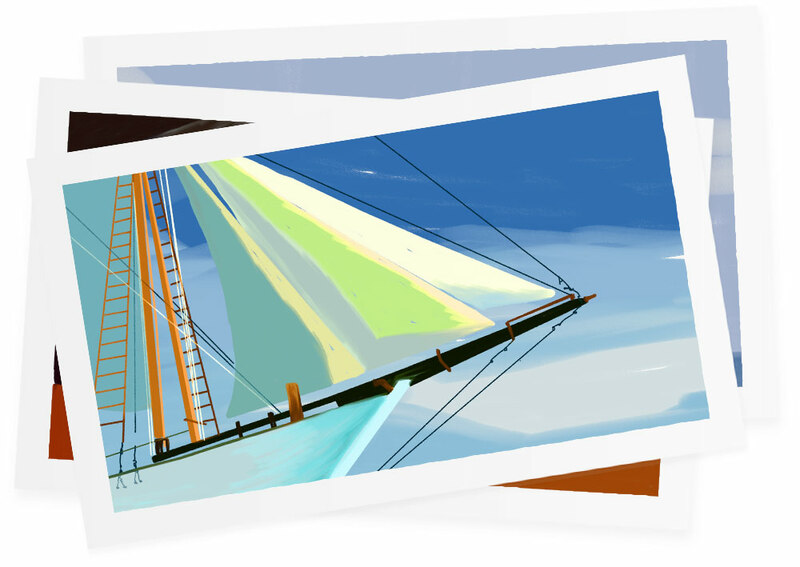 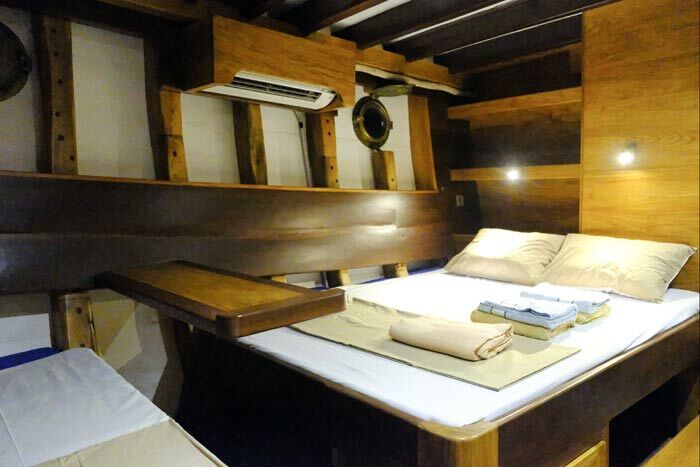 Discover the Jakaré, a cruise boat combining Indonesian tradition and Western comfort. The cruise boat offers high-end services (all cabins are equipped with air conditioning and a private bathroom) and has many spacious common areas, which makes it a very friendly boat and perfectly suited to families with children. 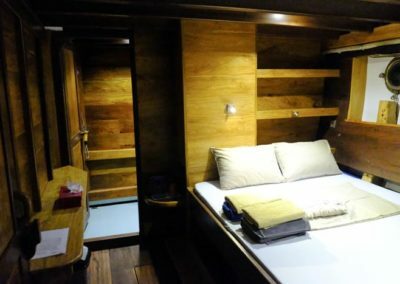 The Jakaré has a Solarium, a rest area (rear deck), a dedicated diving area (front deck), a Yoga area, a dining room, a relaxation area. 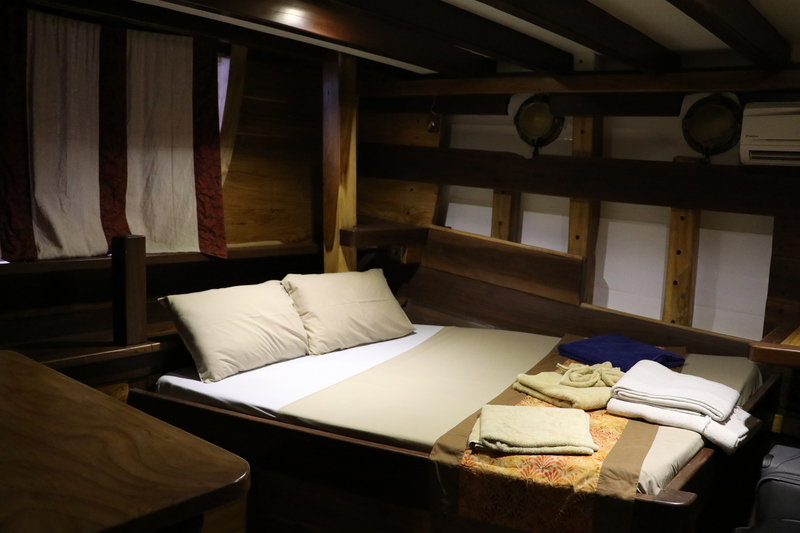 With a sofa (ideal for reading time) and even a detachable “beach” conveniently facilitating bathing directly from the boat… Below the main bridge, a staircase will take you to the 5 cabins. 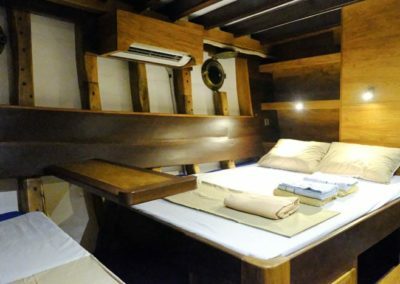 The Jakaré can accommodate between 10 and 14 guests, for example 4 families (8 adults and 4 to 5 children) or five couples. 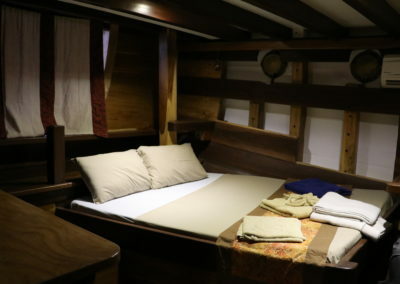 1 Family suite situated at the back: “Dewi Sri” with its double bed of 150 cm, a small double bed of 130 cm, a single bed of 80 cm, and particularly its unique and beautiful wooden quarterdeck giving access to the turquoise waters. 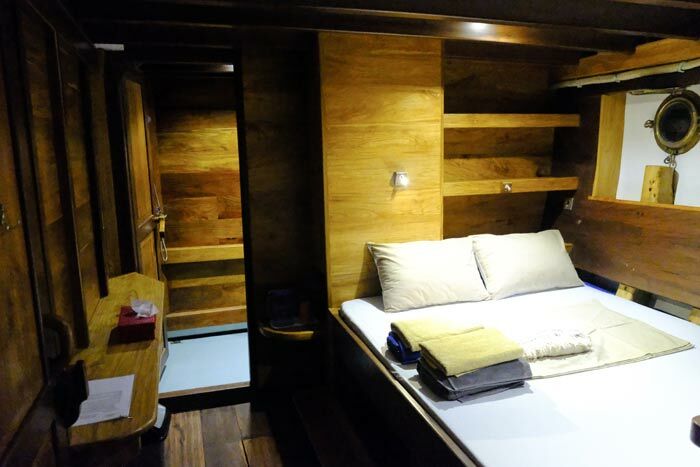 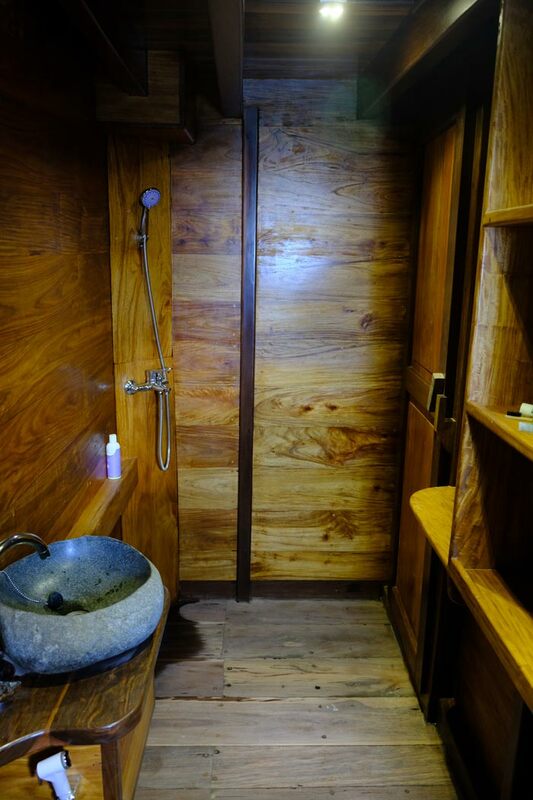 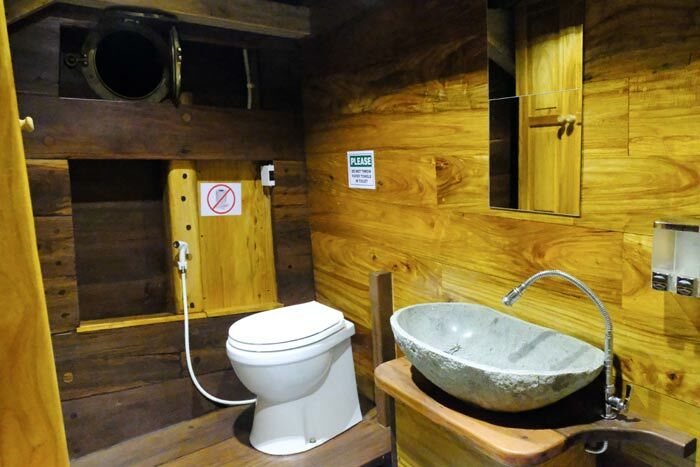 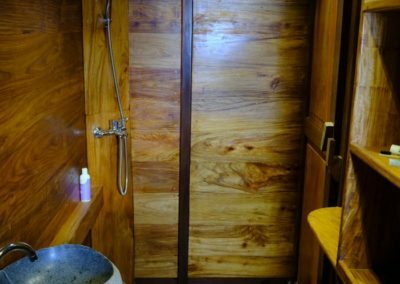 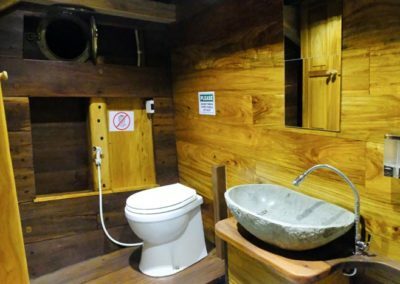 Each cabin has an adjoining bathroom / toilet, an air conditioning system and storage space. 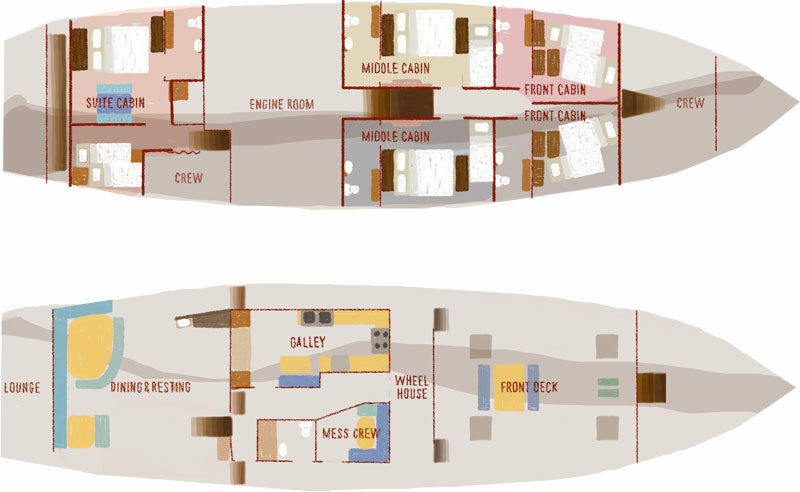 Are you taking a cruise?